Disney unveiled its first Star Wars-themed game for the mobile device today, in collaboration with game studio NimbleBit. Called Star Wars: Tiny Death Star, it’s an 8-bit builder game for iOS, Android, and Windows devices and it’s available today. Players will find themselves on the dark side of the force helping Emperor Palpatine and Darth Vader to build a fully functional Death Star. Of course Star Wars wouldn’t be what it is without the Rebel Alliance, so players will need to prevent Luke Skywalker, Princess Leia, and others from escaping. 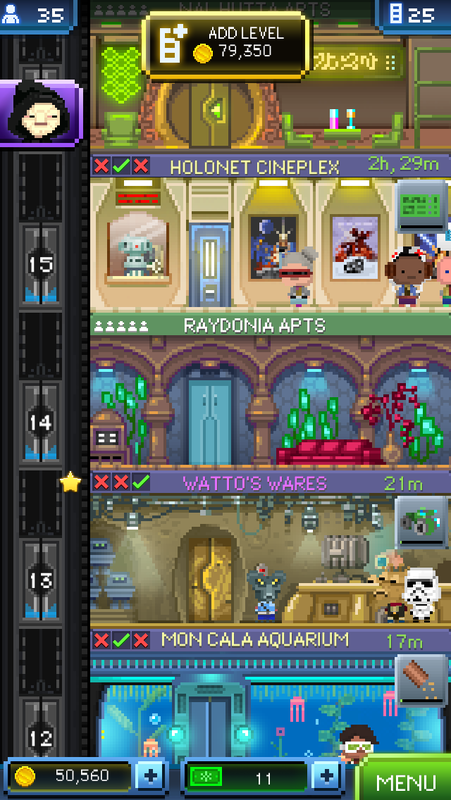 If Star Wars: Tiny Death Star is as good as NimbleBit’s previous work, then players would likely find themselves addicted to this for several hours (or longer). Developer NimbleBit is the creator of the 8-bit Tiny Tower game which has a similar game style as this Star Wars one.